(1)They will be a great help for the holidays!!! 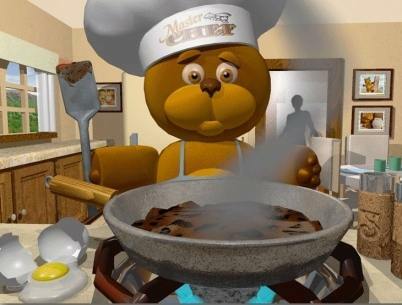 Butterball �They will give you recipes for the entire dinner! And even tell you how to serve it!!! (2)Kraft��� Great Place.Lots of recipes for easy and fast meals. (3) Hershey��� MMM chocolate!! Enough said! (4) Ore-Ida��� They have a lot of quick meals ideas.For all of us moms on the run!! (5) Nabisco�� Lots & Lots of stuff to do for the kids. (6) Lipton��� Not just onion soup! (7) Land Of Lakes���Yummy recipes! (8) Ragu�����Mama's waiting for you!! (9) Fresh Mangos���Everything you can do with a mango!! (10) Crisco���Great recipes for pies and cakes! (11) Jones Sausage���Look and See!! (12) Kelloggs���Tony the Tiger is there to help! ���� JOLLYTIME popcorn...great snack food.Sign up for free packet!!! ���� JIFFY MIX....More than fantastic cornbread!!!!! ���� KNAUSS FOODS...Registar for e-mail!!!!! ���� Green Giant...HO HO HO !!!! **Tabasco**...Really hot stuff.Free Cook Book!! Nice & easy recipes!! Try it!! Breads,Rolls an lots of other goodies!!! Very large list of links~~to just about every food site on the net!! Featured Recipes Of The Week!!! My Friend April sent this wonderful new Light Raspberry Torte...WoW~~It was wonderful~~Why don't you give April a visit..You will be glad you did..She is a SWEETHEART....Thank you soooo much!! My friend Aggie sent this great hearty recipe!! It will be perfect for these winter days!! This is one of my favorite meals!!! ""Stuffed Shells"" 1 pound lean ground beef 1 onion, chopped 2 cloves garlic, minced 1 cup beef broth 1/4 cup fresh parsley, chopped 1 Tbsp. fresh basil, chopped 1/3 cup Parmesan cheese, grated Ground pepper to taste 12 oz. box jumbo macaroni shells, cooked 1 - 12 oz. jar spaghetti sauce 2 cups mozzarella cheese, shredded Saute ground beef, onion and garlic in a saucepan. Drain off any fat. Add beef broth, parsley, basil, pepper and Parmesan cheese and mix well. Stuff each shell with meat mixture and place in a glass baking dish. Pour sauce over shells and sprinkle with mozzarella cheese. Bake for 30 minutes at 350 degrees. A lot of stuffed shells recipes only use cheese for the stuffing. We like this recipe because of the meat and the fact that, well, I guess we are carnivores, or omnivores to be more precise. If you are not a carnivore, or omnivore than you can omit the ground beef and substitute sun-dried tomatoes or some chopped spinach in the filling. The Skinny: Use the leanest ground beef you can find. Also substitute low fat beef broth. You can probably get away with low fat Parmesan because it is in the sauce. I would not recommend low fat mozzarella because you need the gooey factor. ""Check out your favorite fast food restaurant"" How many calories are really in that big mac????? You may never have an attack again����� They will give you all answers!!! The fast food finder!!! You"ll be surprised!!!!!" ""Signs For Your Kitchen"" Thank you Janine for sending these cute signs!! 1. Kitchen closed - - this chick has had it! 2. Martha Stewart Doesn't live here!! 3. I'm creative, You can't expect me to be neat too! 4. So this isn't Home Sweet Home... Adjust! 5. Ring Bell for Maid Service...If no answer do it yourself! 6. I clean house every other day....Today is the other day! 7. If you write in the dust, please don't date it! 8. I would cook dinner but I can't find the can opener! 9. My house was clean last week, too bad you missed it! 10. A clean kitchen is the sign of a wasted life. 11. Home Cooking- - -Like Mother used to do before cigarettes and soap operas 12. I came, I saw, I decided to order take out. 13. If you don't like my standards of cooking...lower your standards. 14. Apology...Although you'll find our house a mess, Come in, sit down, converse. It doesn't always look like this: Some days it's even worse. 15. Emergency Numbers: Pizza - - - - - - 503-873-9852 Chinese - - - - 503-873-7768 Deli - - - -- - - - -503-873-0274 Grandma - - - - 503-873-4761 21. Dull women have immaculate houses. 22. A messy kitchen is a happy kitchen, and this kitchen is delirious. 23. If we are what we eat, then I'm easy, fast, and cheap 24. Help keep the kitchen clean - eat out. 25. Countless number of people have eaten in this kitchen and gone on to lead normal lives. 26. My next house will have no kitchen --- just vending machines. Here is the goverment's "Food Guide Pyramid"
Search for your favorite restaurant!! Or place your menu on the net! !